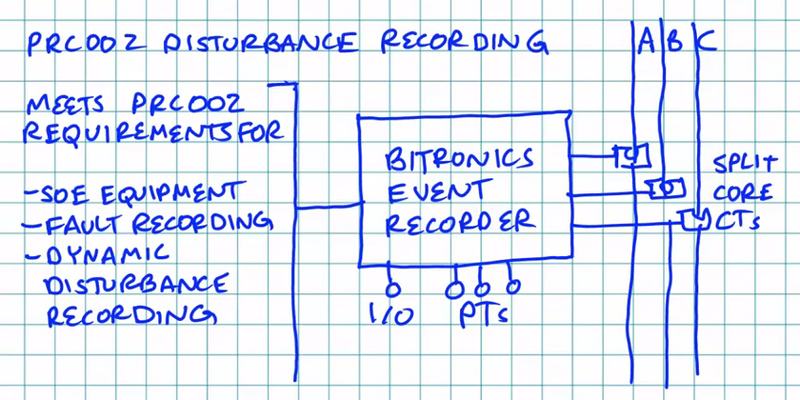 Bitronics 70 Series Event Recorders meet all three PRC-002 Disturbance Monitoring requirements – SOE Equipment, Fault Recording and Dynamic Disturbance Recording – in a single unit. Once connected to local I/O, PTs and optional split core CTs, the Bitronics Event Recorder collects time-stamped events, waveform and trend data. Files are made accessible to the Wavewin Bitronics Device manager software via serial or Ethernet FTP transfer. The Bitronics 70 Series can be retrofitted quickly into existing circuit without taking an outage.